"If you want to liberate a society," said Egyptian Arab Spring activist Wael Ghonim, "just give them the Internet." Today, the optimism about free speech and the Internet that emerged during Egypt's 2011 uprising has been dashed by the Morsi and Sisi regimes, which have silenced online and traditional media and imprisoned dozens of journalists. Sites the Ministry singled out for monitoring include Facebook, which has become a popular channel for Egyptians to report local news, connect with a larger community and voice their dissent. It doesn't end there. 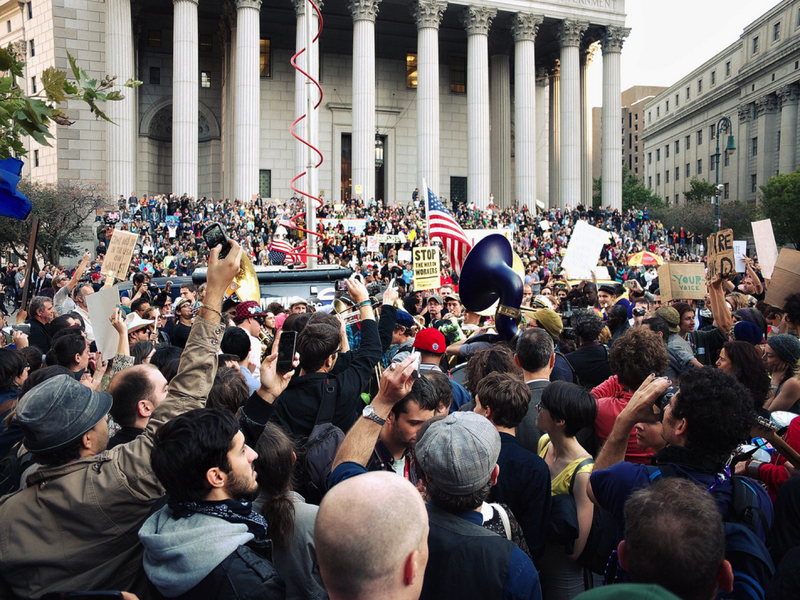 This cycle of Internet optimism and despair repeats itself wherever people take to the streets and the Web to organize and report on large-scale protests. By many accounts, Turkey's Gezi Park protests of 2013 were the country's high-water mark for online organizing and reporting. But after clearing the park, the Erdogan government imposed a ban on Twitter and YouTube. A constitutional court decision to rescind the Twitter ban in April hasn't stopped the repression. The regime has shuttered local websites without court orders and collected Web-browsing data on individuals. Earlier this week, courts sentenced newspaper columnist Önder Aytaç to 10 months in prison for a single tweet insulting the prime minister. In Kiev, during this past winter's Euromaidan protests, some of the best reporting came from a community of live streamers -- people using smartphone cameras, streaming apps and network connections to provide viewers worldwide with a live video record of protests. Today, when asked whether the Internet has been a force for good or evil, media scholar Zeynep Tufekci likes to answer "Yes." In other words, it's both the best of times and the worst of times for the free speech rights the network is supposed to support. To break the cycle of repression we must look more closely at the tools protesters and reporters use and ask whether they further the cause of freedom -- or just make speakers more vulnerable. The most immediate are the devices -- primarily smartphones -- now in the hands of hundreds of millions of people. Both protesters and reporters have pressed their phones into service to document and stream live events during occupations at Gezi Park, Tahrir Square, Zuccotti Park and beyond. In most every setting reports have emerged of authorities targeting smartphone users for arrest or harassment. We must support policies that defend everyone's right to record while adopting better technologies and applications to protect devices from shutdown and surveillance. "Hosting your political movement on YouTube is a little like trying to hold a rally in a shopping mall, writes Ethan Zuckerman of MIT's Center for Civic Media. "It looks like a public space, but it's not -- it's a private space, and your use of it is governed by an agreement that works harder to protect YouTube's fiscal viability than to protect your rights of free speech." The same can be said for Facebook, Twitter and most every other application protesters and journalists use. Zuckerman compares social media executives to "benevolent despots" who use corporate terms of service -- not First Amendment principles -- to govern their decision-making about content. In extreme cases, including Bay Area Rapid Transit's decision to block cellphone services during a 2011 protest, authorities have shut down networks. A more insidious approach involves filtering network content to identify -- and even locate -- speakers and block their communications. Technology has turned reporting into a two-way conversation between journalists and the their audiences. While audiences -- or what journalism scholar Jay Rosen calls "the people formerly known as 'the audience'" -- aren't technically tools, they do play a very important role in this new-media feedback loop. And the loop works best only when everyone can participate via open and secure networks. According to the International Telecommunications Union, only 40 percent of the world's population uses the Internet. And higher rates of usage are concentrated in developed countries (in contrast, only 16 percent of people in Africa have access). If we're to realize Wael Ghonim's vision of a liberating Internet, we can't just protect the network from censorship and surveillance. We also need to ensure that everyone has the opportunity to connect. Media technology has changed, but our free speech rights haven't. Freedom of expression is more important -- not less -- when anyone with a mobile phone and an Internet connection can speak out. -- A version of this article was originally published at PBS MediaShift.